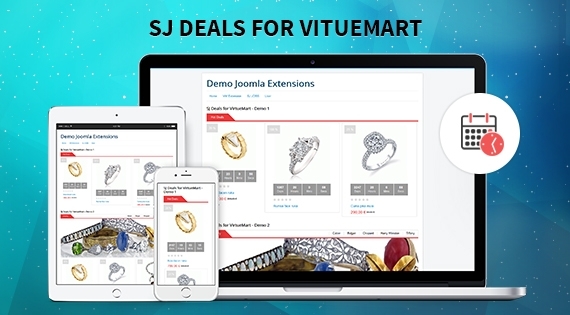 SJ Deals for VirtueMart allows you to create, manage deals on your VirtueMart stores in the most convenient way. You promotion products will be present with sale off percentage, original price and discount price that is really easy to follow. With this module, you can set countdown timer for daily deal or for any period of time. It will effectively motivate your customers to view your products and buy them. In addition, with 2 demonstrations, many attractive effects available and the user friendly backend interface, SJ Deals for VirtueMart can be placed on any position to highlight your products. Let's check out the demo to feel more!